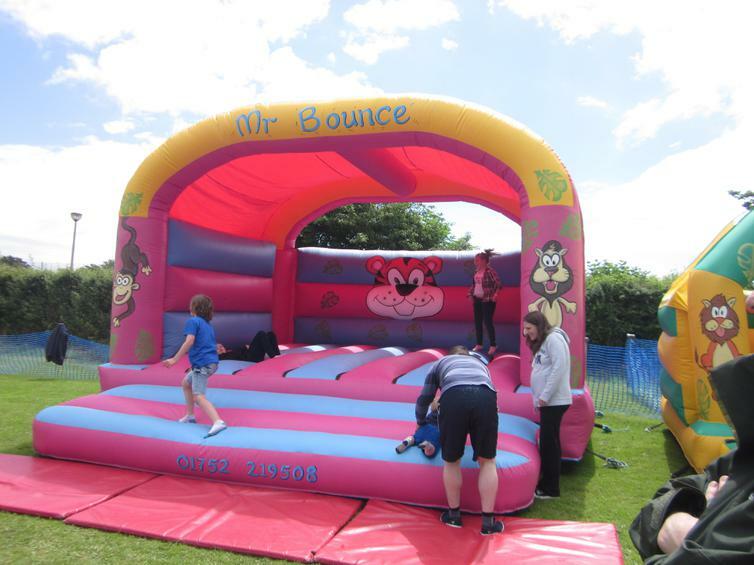 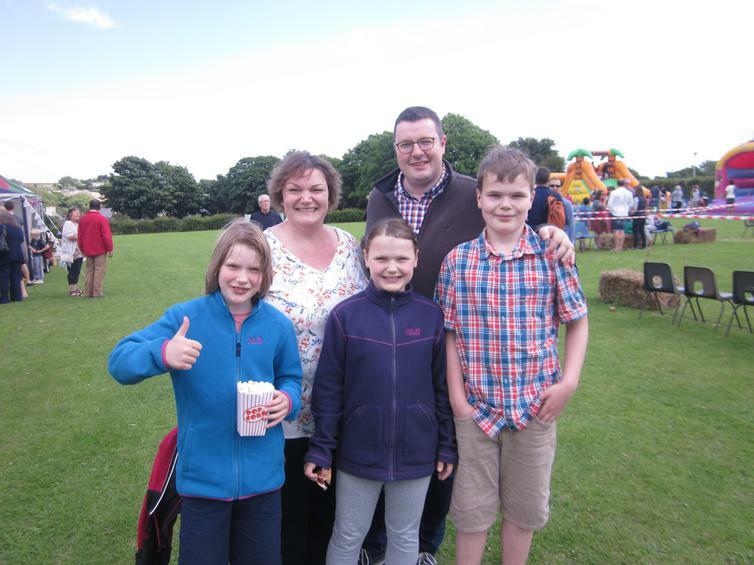 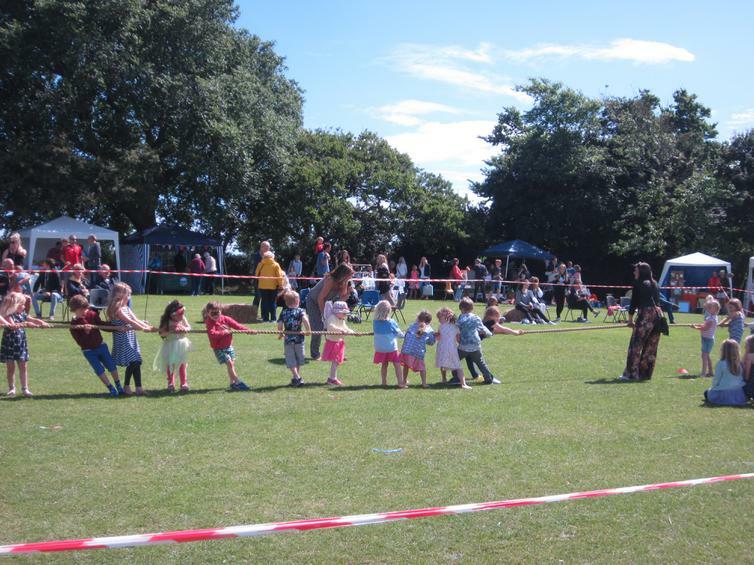 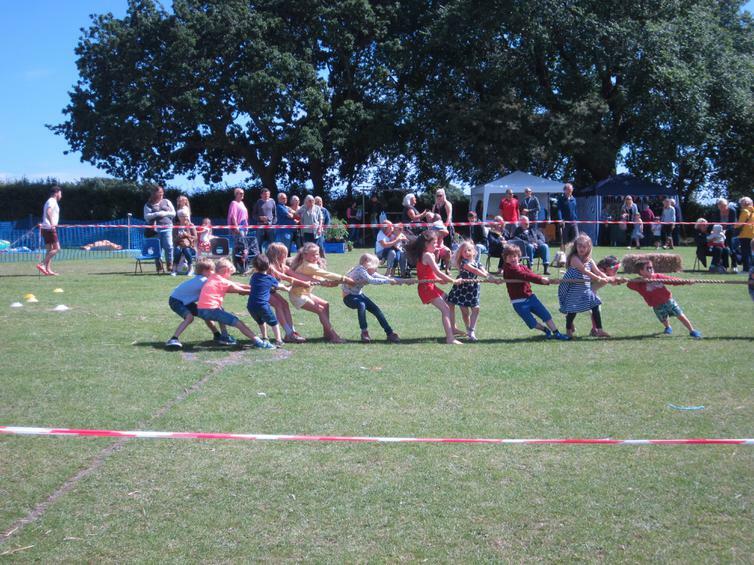 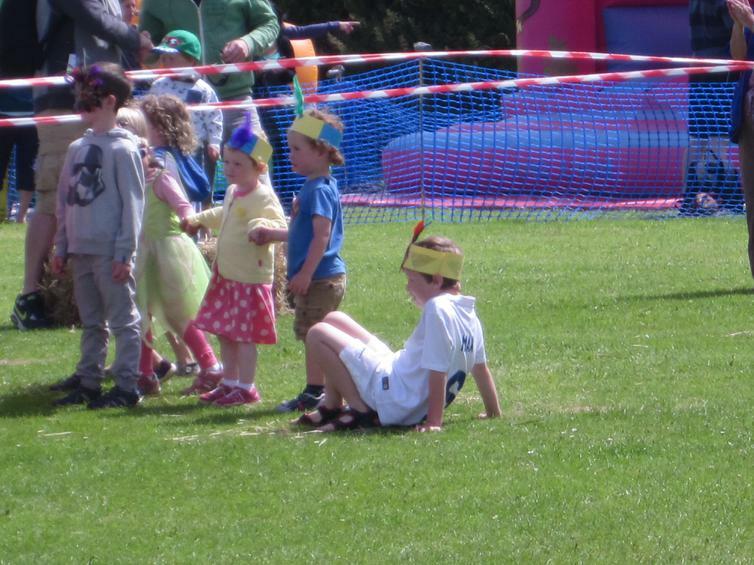 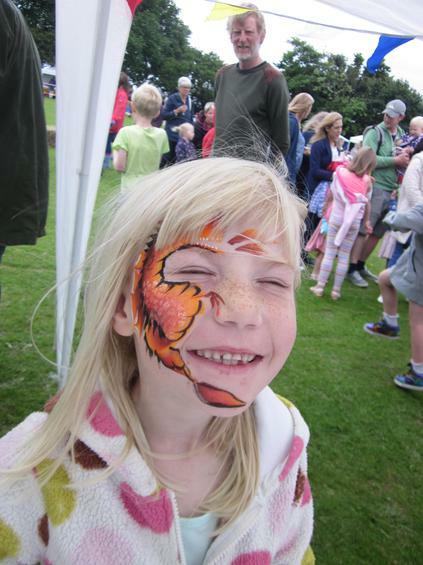 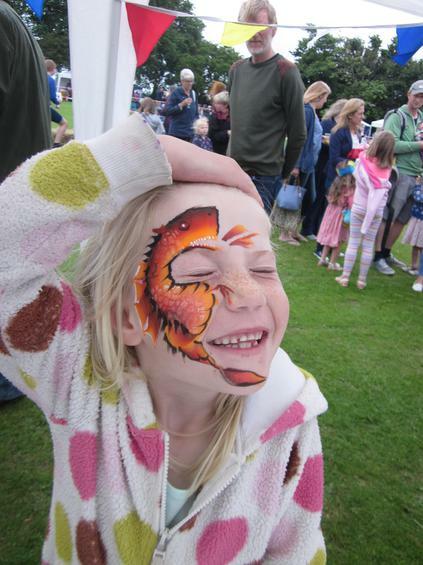 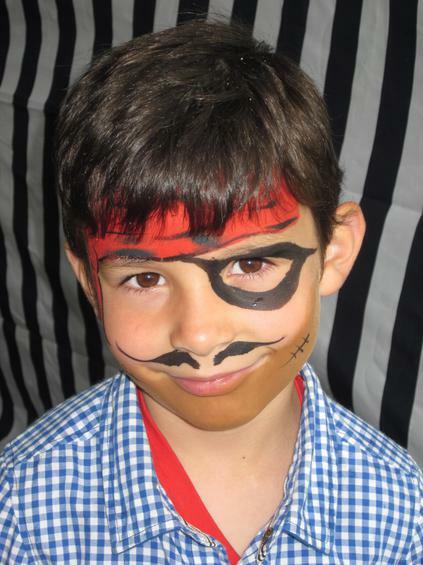 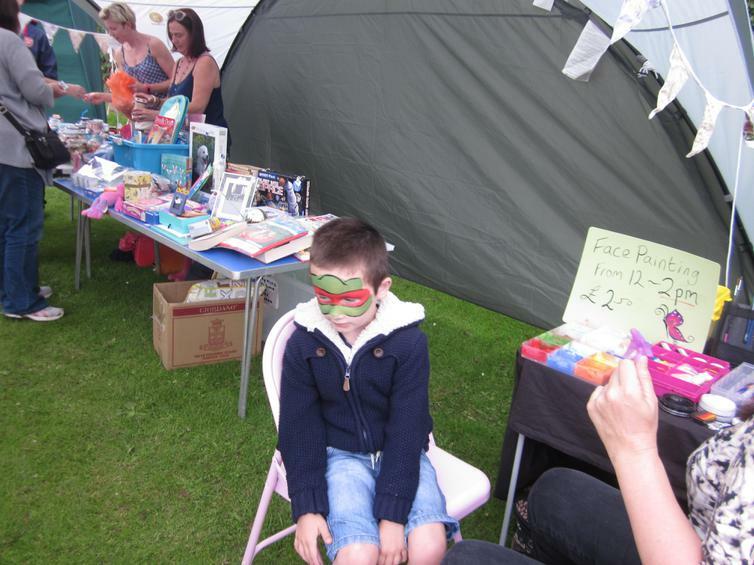 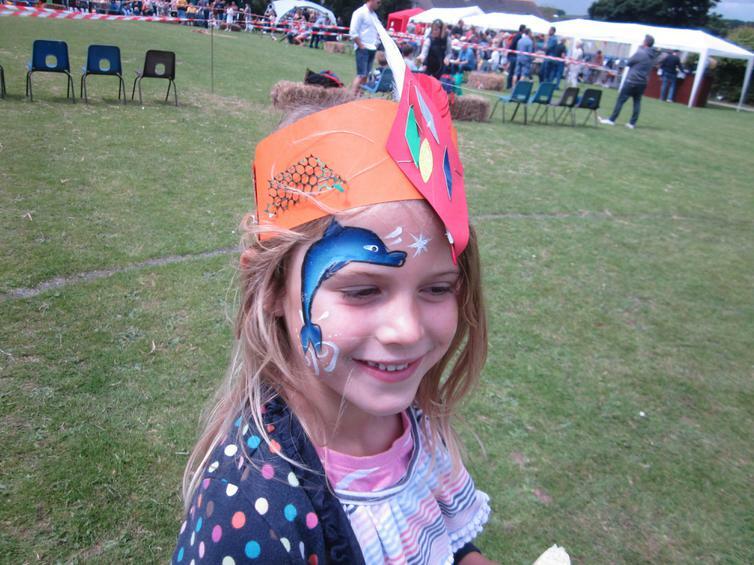 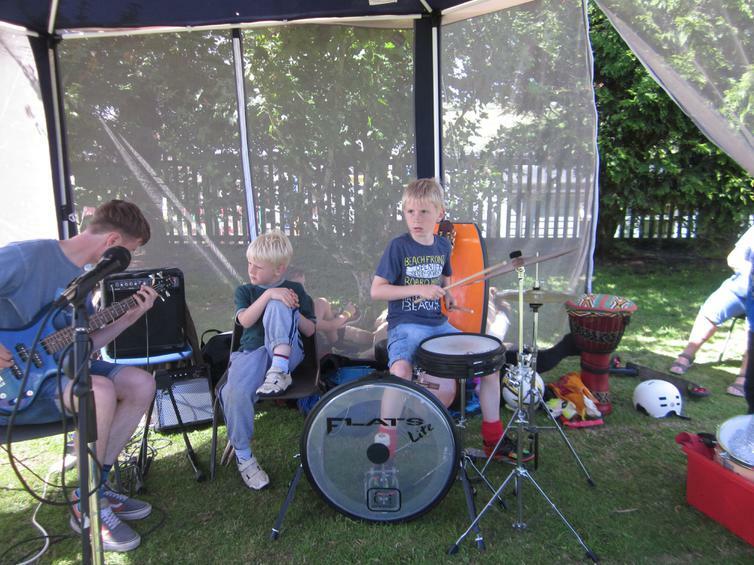 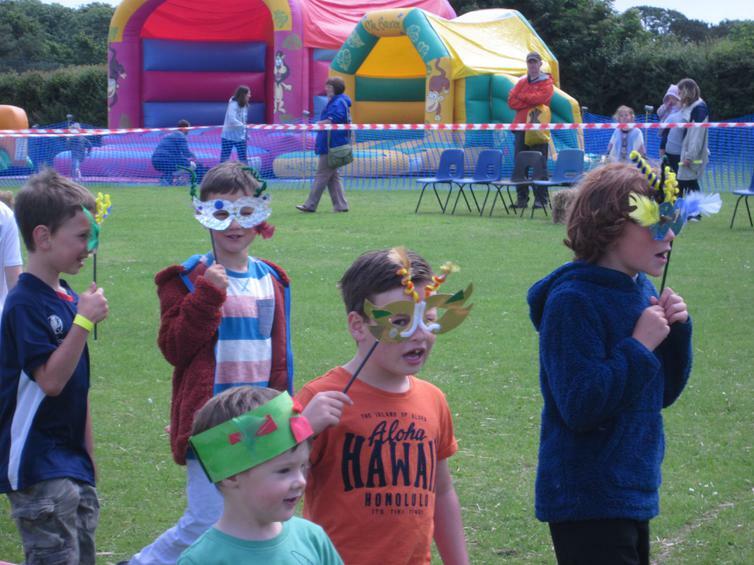 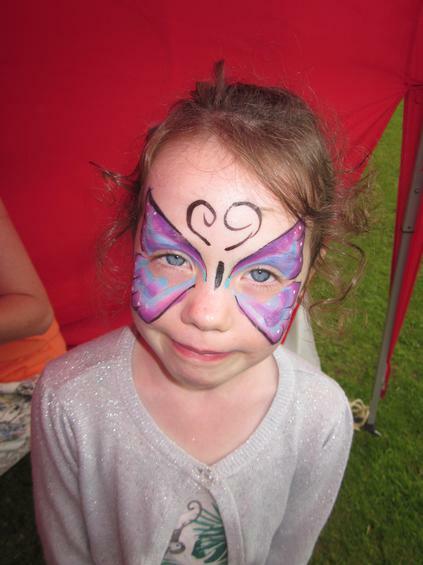 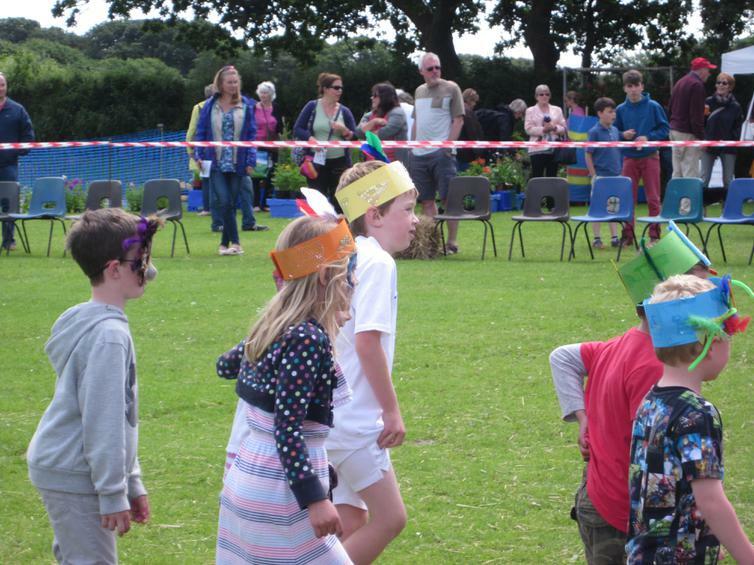 Plenty of 'Fun at the Fayre' was had by pupils, parents and visitors. 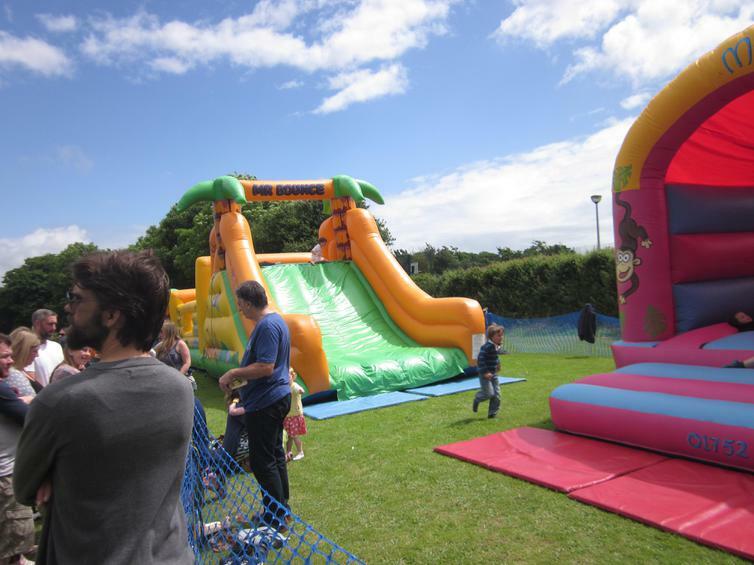 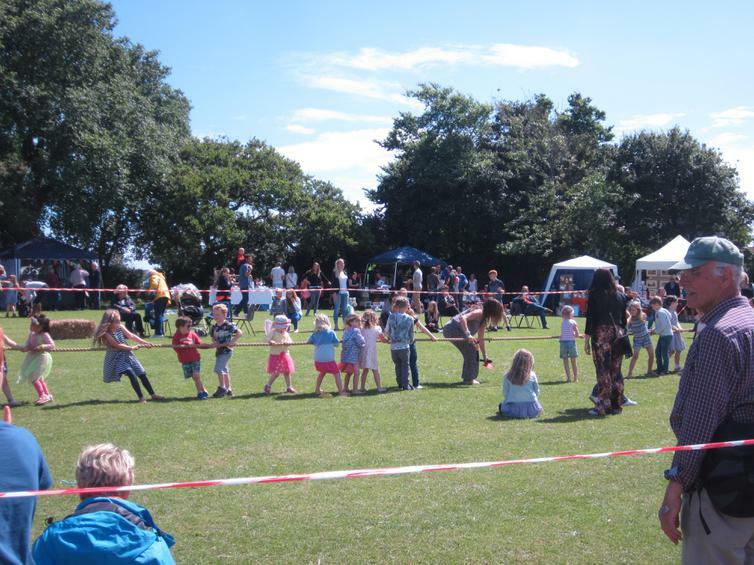 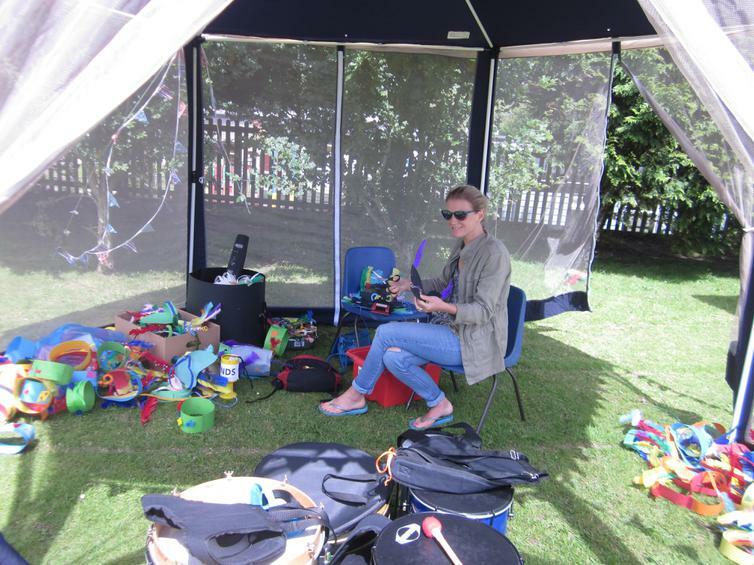 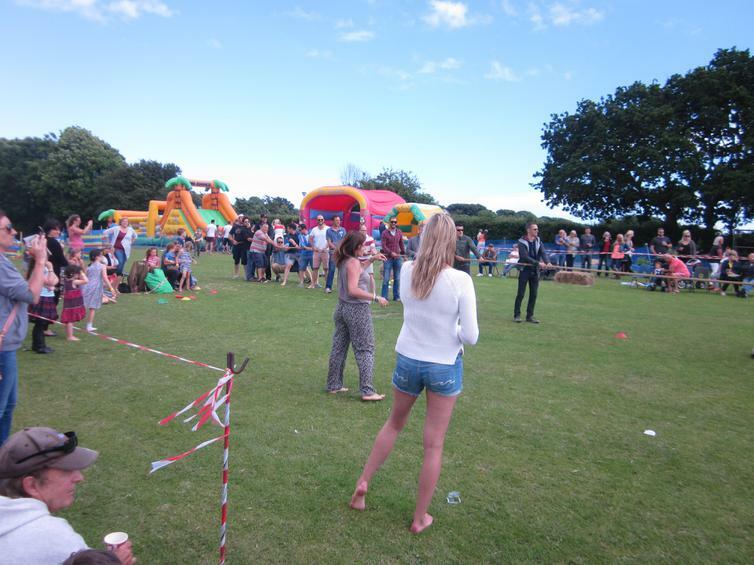 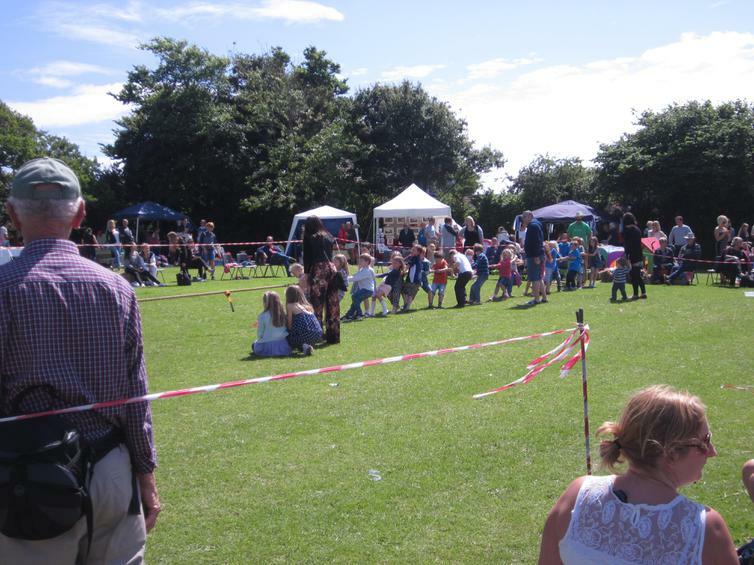 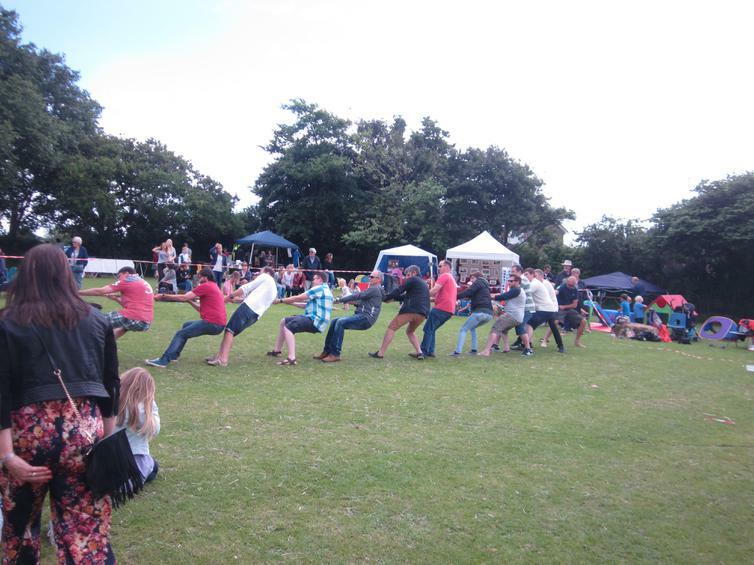 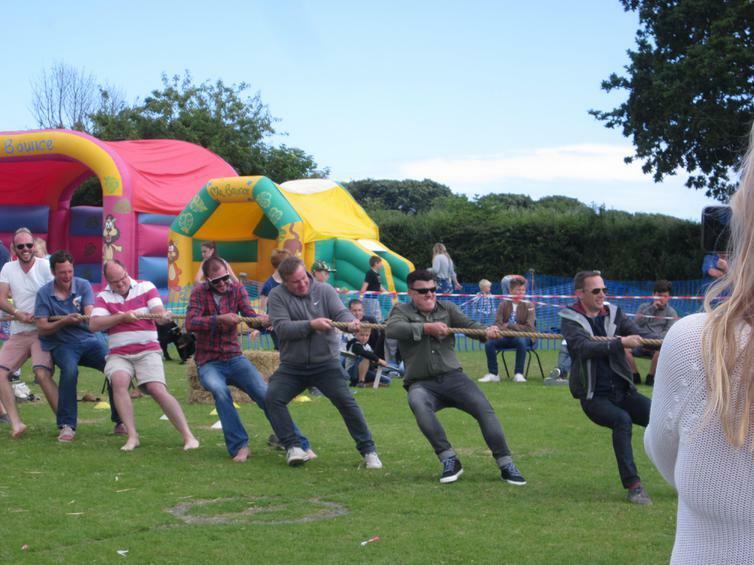 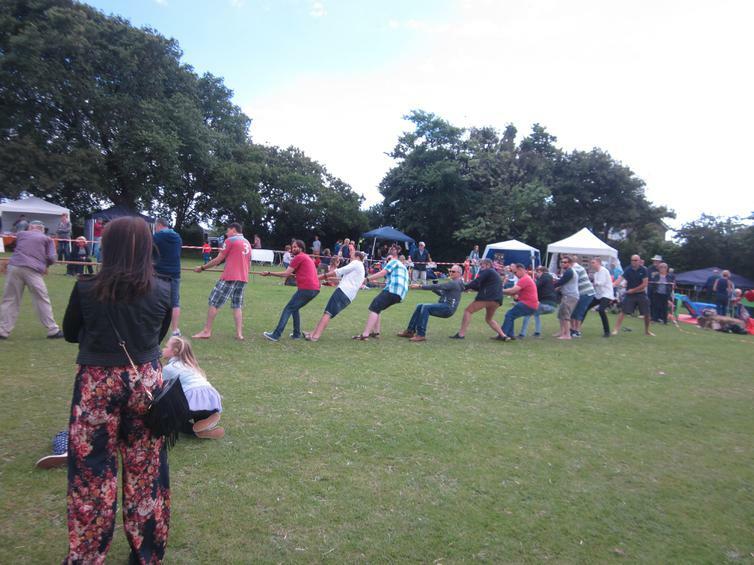 There was no end to entertainment and stalls; from hair wraps to welly wang, Pimms to Prosecco and bouncy castle to BBQ. 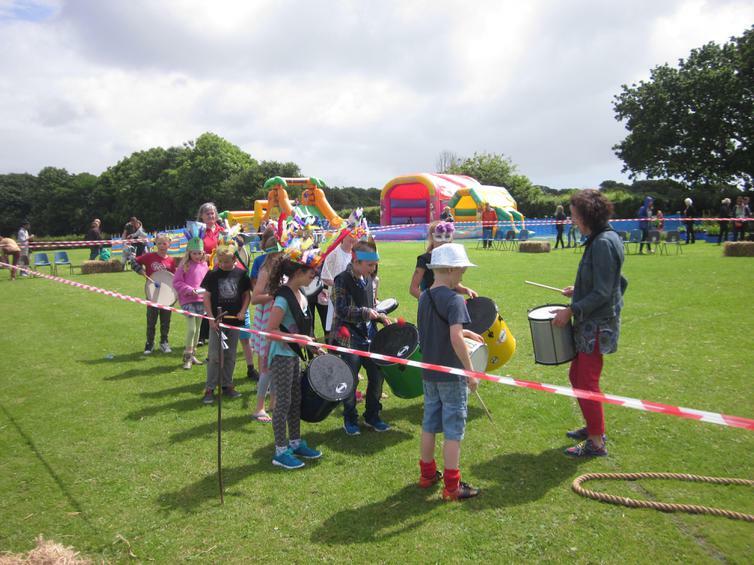 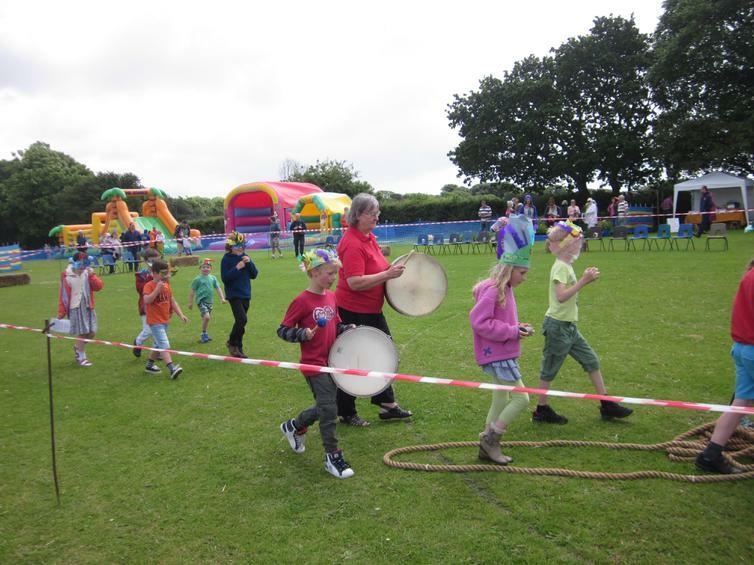 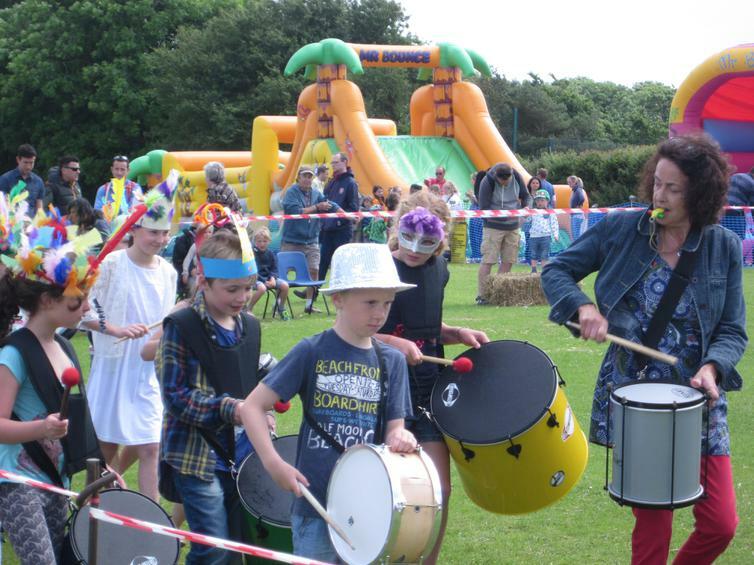 The fayre was opened by Reverend Martin Kirkbride, followed by a carnival parade of Rio, supported along with music from the Year 4 Samba Band. 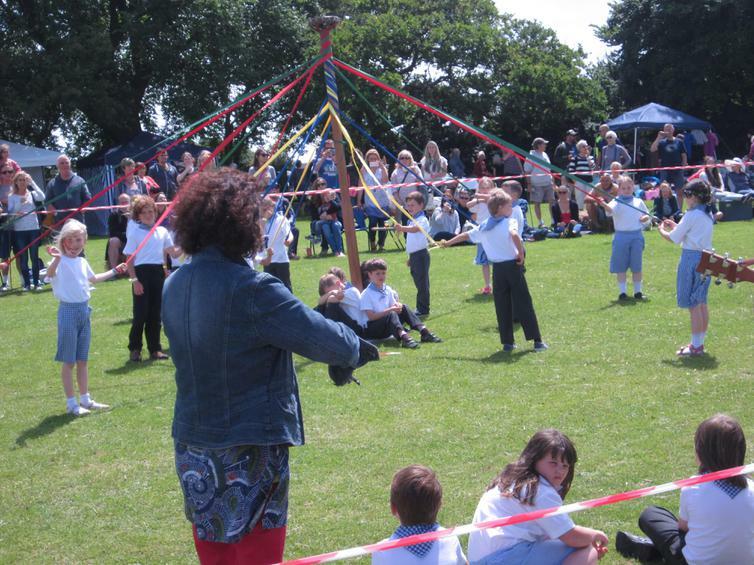 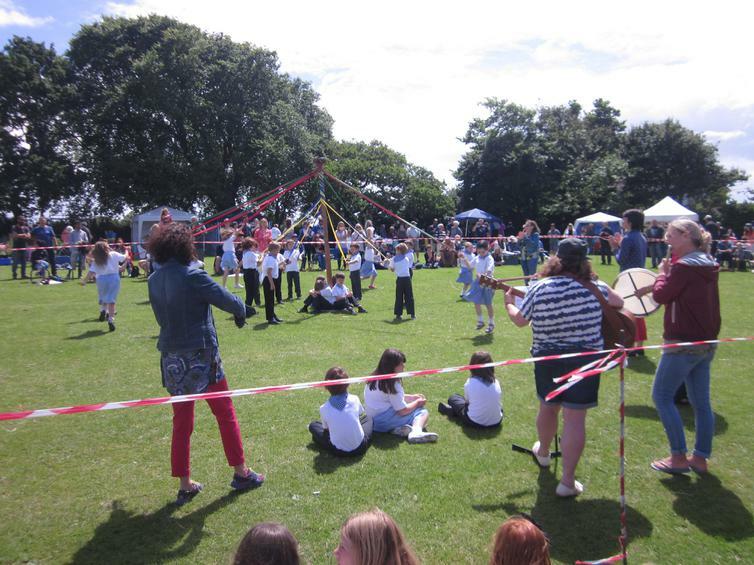 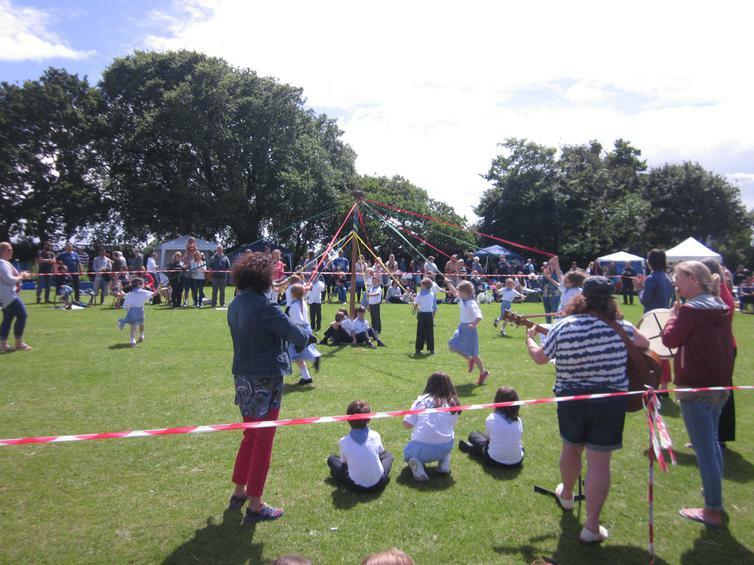 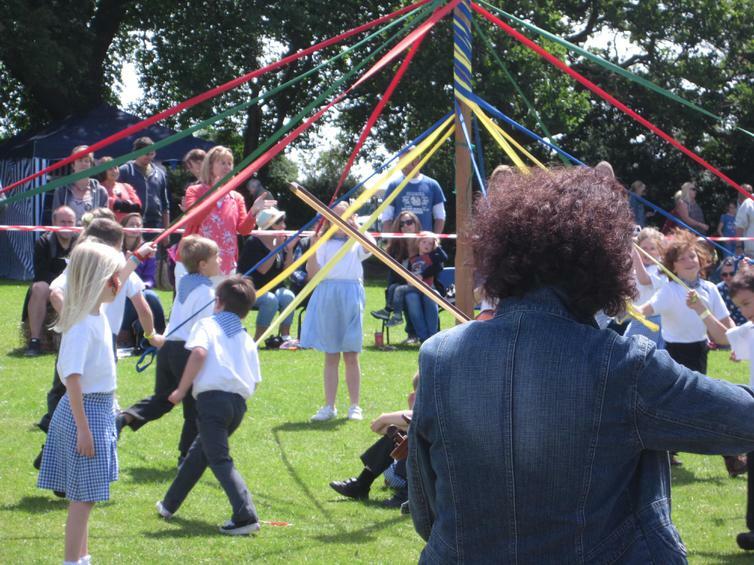 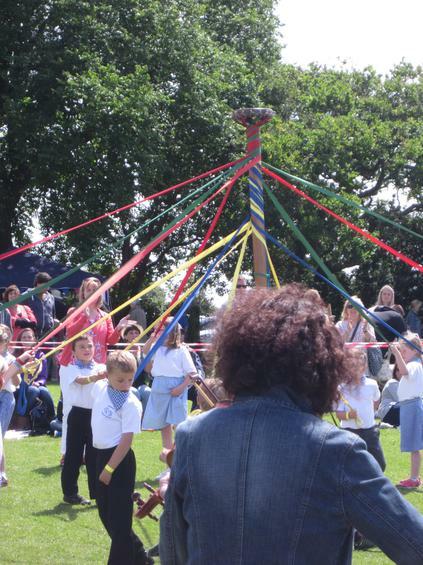 Year 2 performed their annual Maypole duty perfectly. 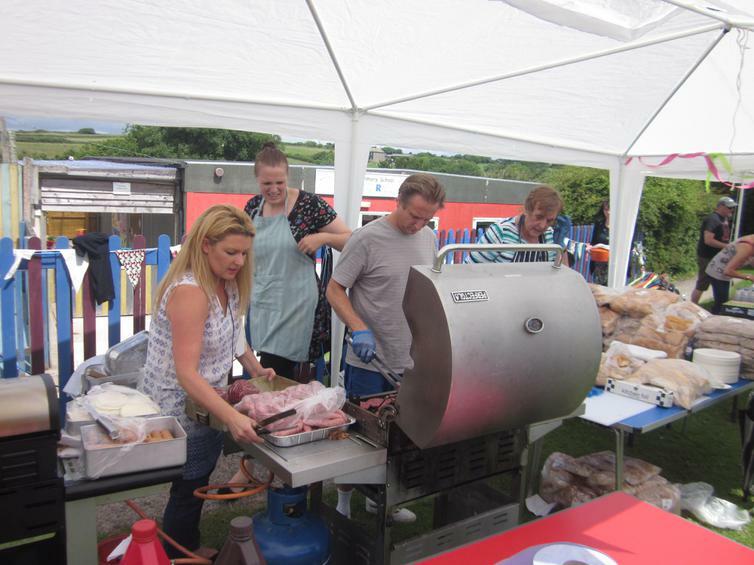 Even the weather just about held out and when it showered it was a quick dive under the canopies for BBQ and refreshments! 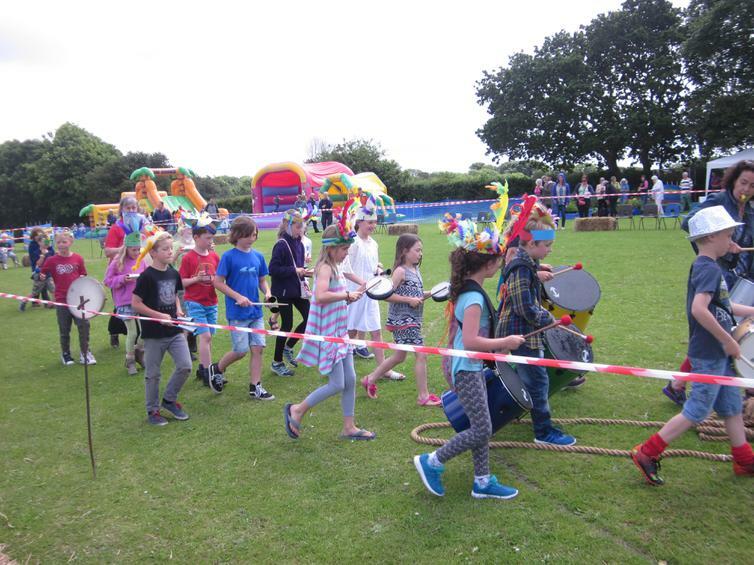 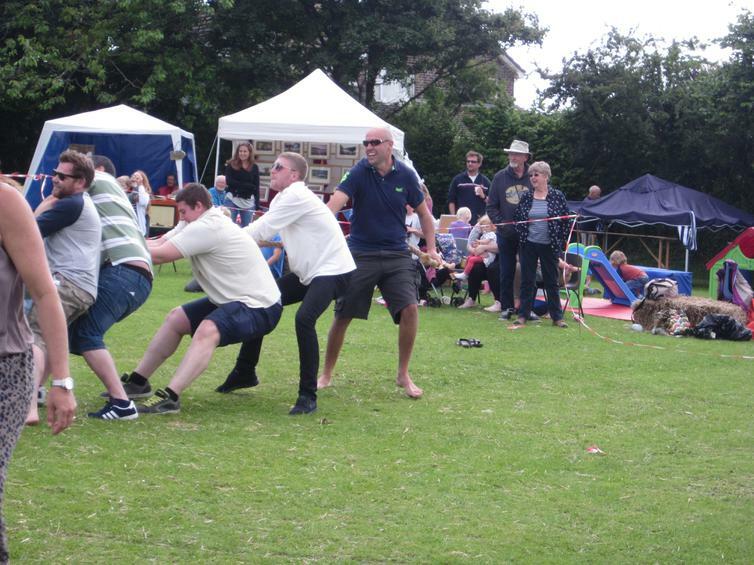 The arena saw a range of events; dancing, games and tug-o-war and over in the Music tent, pupils past and present entertained. 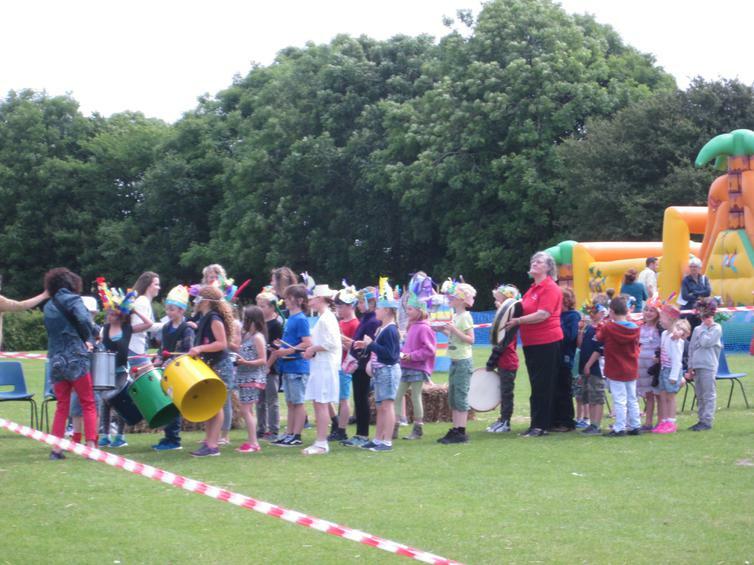 A BIG thank you to you all for making the day so successful. 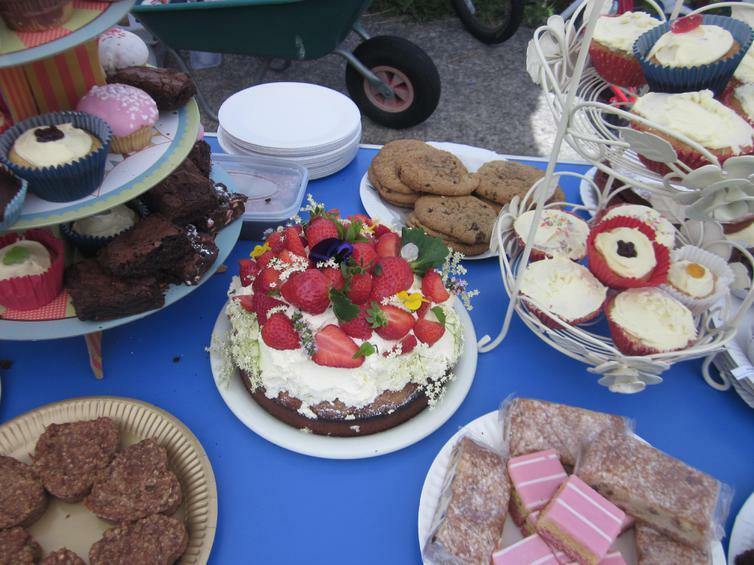 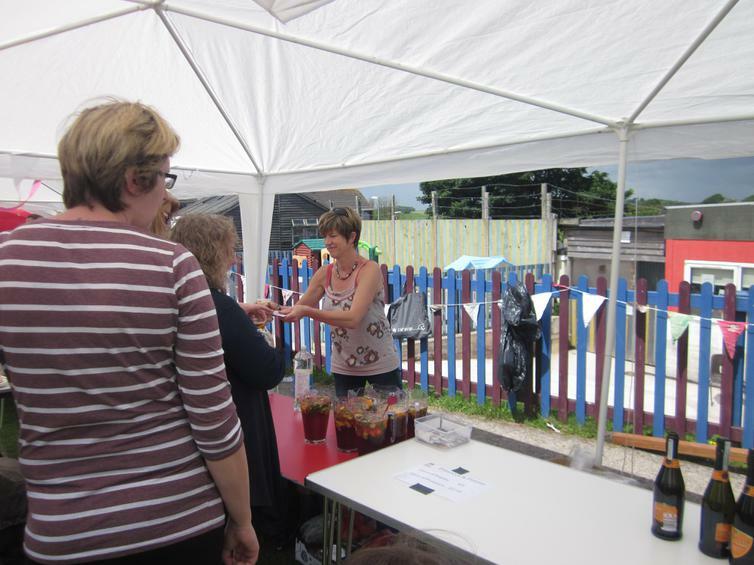 Special thanks go to FRoWS and all the adults on the stalls, and events, for helping it to run smoothly. 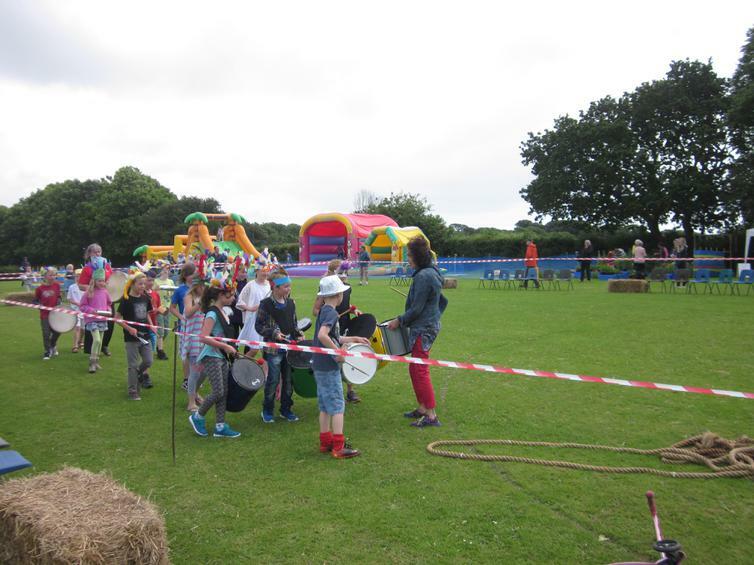 Also to our German visitors, who spent two days getting to know the school, pupils and village life. 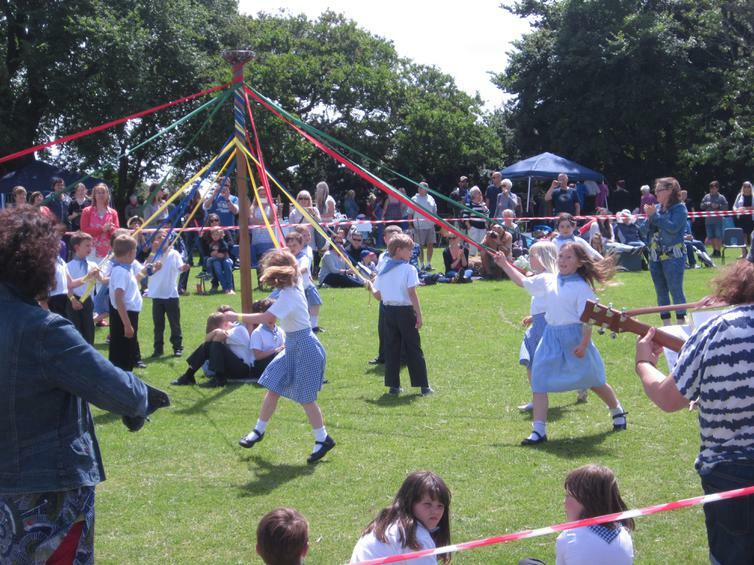 They saw Wembury at its very best.